The Long Run Album reviews. Recorded nearly twenty years ago but sounding only a little bit dated, The Long Run is the sound of one of classic rock's most misunderstood bands at both its creative peak and its demise. On their previous release, 1976's Hotel California, the Eagles had made a clean break from the feel-good California mellow country rock that characterized much of their early work, but often tried a little too hard. Though the album is excellent for the most part, it is easier to view as a collection of individual songs than as a cohesive statement. This did no harm to its popularity, of course, and the title track is still what most people think of when the Eagles are mentioned. But the album that followed is ultimately a more complex, deeper, and better record. The Long Run didn't just change the Eagles' modus operandi, it was a concept album about that change itself. 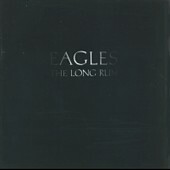 The title song, which opens the album, is musically traditional Eagle faire, Don Henley's gutsy vocals over a southern-rock style guitar and a drive-you-into-the-ground 4/4 rhythm, but listen to the words and you know the band has grown up. "I used to hurry a lot / I used to worry a lot / I used to stay out 'till the break of day" starts the first verse, and we later hear "but I just couldn't carry on that way." As a confessional introduction to an album that shapes up as a stark portrayal of southwestern sunset strip culture in the late '70s, it's brilliant. The record progresses, and each track contributes its own little piece to the puzzle. "In the City" yearns for a more peaceful existence "beyond the neon lights." "Those Shoes" and "Teenage Jail" dissect social pressures down to the core. "Heartache Tonight" de-romanticizes the let's-be-mellow-and-fall-in-love image the Eagles and others had popularized only five years earlier. Perhaps the most incisive is the one-two punch of "The Disco Strangler" and "King of Hollywood" at the end of side one. The former tells the tale of a swaggering, gold-chain-wearing club-goer (could they have forseen the Roxbury guys? ), who will "sweep you off your feet if you let him." The latter shifts to the promising young movie actress learning what she has to do to get a part - "Are you willing to sacrifice / are you willing to be real nice / all your talent and my good taste / I'd hate to see it go to waste." We've seen several films released recently about this sort of scene in this era, but the Eagles were writing about it back then - how cool is that? But perhaps the most beautiful thing about this record, other than the crystal clear production that distinguishes it from much '70s rock that sounds like it was recorded under water, is that after all the corruption, greed and desolation, there is some hope at the end. In the gorgeous ballad "I Can't Tell You Why," unsung Eagle Timothy B. Schmitt sings "every time I try to walk away / something makes me turn around and stay." In the title song, Henley is confident that "when it all comes down I know we'll make it through." Sadly, the Eagles didn't make it through another year, but in "Sad Caf�," which turned out to be the last song on their last album, the Eagles look back on the past, recall it with emotions that are largely mixed - "some of our dreams came true / some of them passed away" - but finish up with an invitation to join them inside the very same caf� that they seem to have outgrown. All lovers of guitar-based rock who are looking for more classics in their collection should own this album. The two "Greatest Hits" records don't do justice to the Eagles half as well.